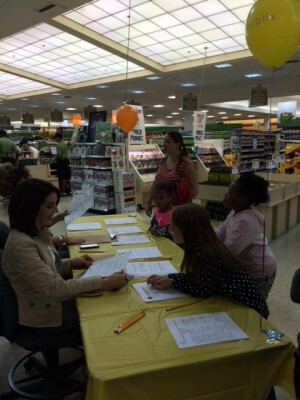 Floresta Elementary students participated in a Math Literacy Night at Publix Supermarket. 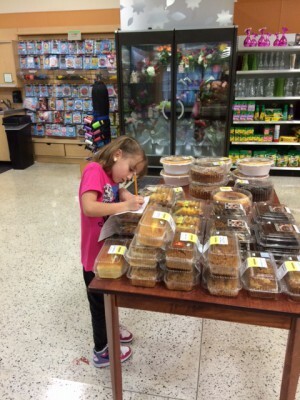 The students completed a scavenger hunt using real world money problems. 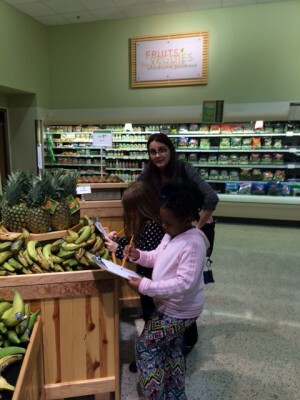 The students had a great time going “shopping” and learned a lot about real money problems. Are you smarter than a seventh grader? Palm Pointe Educational Research School @ Tradition’s seventh grade team hosted a fun informational session for parents and students. They competed with FSA and EOC type questions…and the student team won in all four rooms! Way to go Rockets! Kindergarten students at Palm Pointe Educational Research School @ Tradition celebrated the joining of the letters Q and U as in “quack” and “quick.” They also held a ceremony for other consonants that frequently go together in words such as sh, ch, wh and th. What a beautiful occasion to commemorate these unions. Students at Palm Pointe Educational Research School @ Tradition in first and second grades enjoyed reading to their families. This is an annual “Read to Your Sweetheart” celebration and the students love sharing their favorite books with their family and friends. Their love for reading is wonderful! 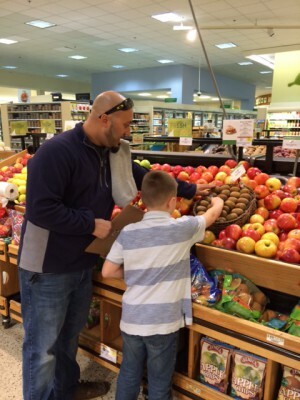 Lawnwood Elementary GEMS Club Gives Back to Flint! The GEMS Club of Lawnwood Elementary recently donated cases of water that will be transported to the residents of Flint, Michigan. Pictured are Karina Hernandez, Sadie Rivera & Alexandra Penney who earned an Excellent rating for their ensemble and Chelsea Cantarero who earned Superior for her solo. Congratulations to the Forest Grove Bulldog Soccer “A” Team for Winning the School’s First County Championship for Soccer! The Bulldog defense only allowed one goal in four games and provided the opportunities for hat tricks from both team captains – Javier Salgado and Diego Gonzalez. Mario Bello, Jesus Avila, and Roselis Mocteczuma also scored goals to lead the Bulldogs to their first championship.